I just heard that the shack at Wind N Sea is gone from this winters swells. Wind N Sea with the shack on the rocks always epitomized the classic days of surfing to me. Anybody know if a new one will be put back up? After a few months off from shows and touring, tomorrow I am back on the ROAD!! So excited to come back to San Diego to do TWO (2) shows in one day tomorrow Saturday May 9, 2015! 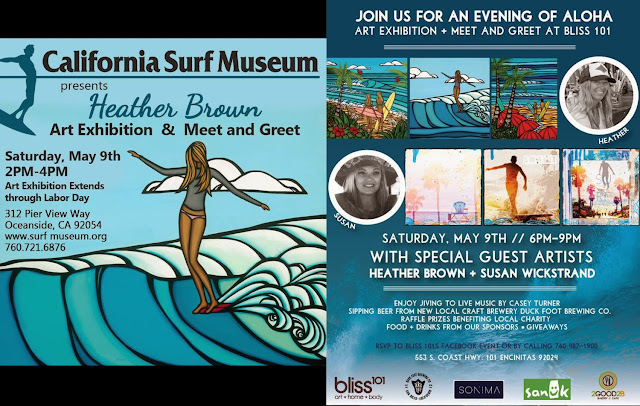 The first is for the opening of my new exhibit at California Surf Museum in Oceanside from 2-4 PM! I am so Happy to announce that on Saturday May 9, 2015 I will be returning to Southern California for two shows! I am off to Southern California for some shows, visits and meetings this August. 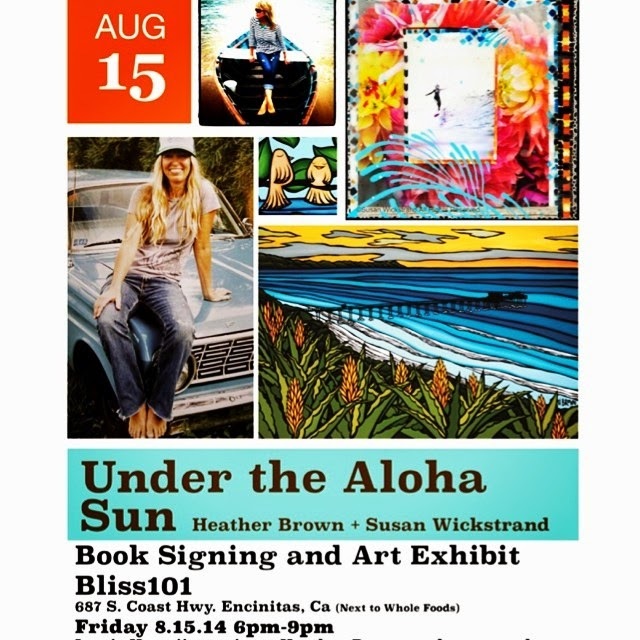 My first show will be on August 15, 2014 at Bliss 101 in Encinitas with fellow artist Susan Wickstrand Roche. Hope to see you there!